The second part of the Ill-Gotten Gains DLC is available now to download. 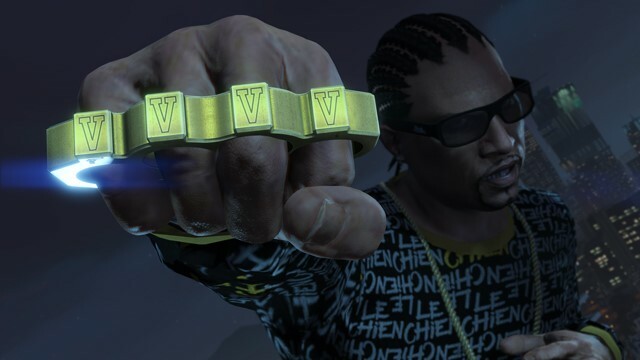 Rockstar has begun deploying the latest patch for GTA 5 on all platforms. The Patch includes the Ill-Gotten Gains Part 2 DLC, as well as other fixes. We’ve just received the patch of PS4, and reports are coming in confirming that PC, PS3, Xbox 360 and Xbox One have received it as well. For new-gen and PC, it’s around 500MB in size. Ill-Gotten Gains 2 itself brings new vehicles, new weapons, and new outfits. The Lab, the new radio station that debuted with the PC version, will also be coming to PlayStation 4 and Xbox One with the update. Finally, as part of the DCL’s rollout, Rockstar will be hosting a double $ and RP this weekend. We’ll let you know of the details as soon as we have them.